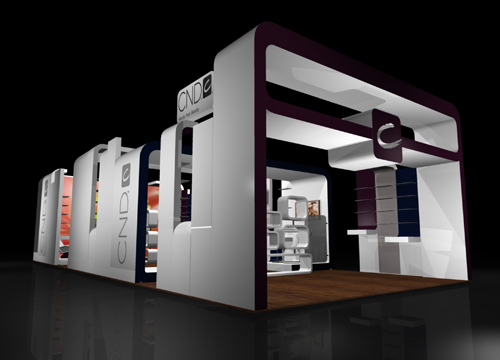 During my internship at Pinnacle Exhibits I worked on a project for Creative Nail Design, a hand and foot beauty care company. 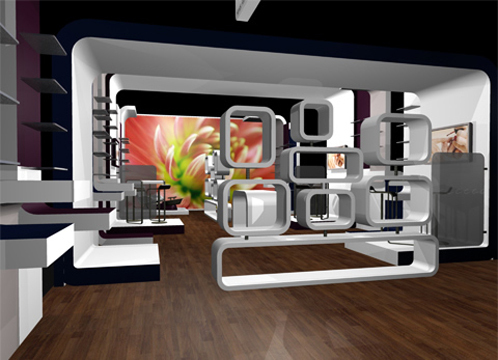 This project gave me a chance to work with a client’s specific needs and learn how to design a large space within a budget. 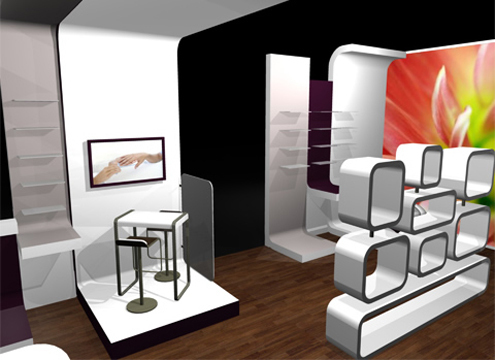 The exhibit space measured 20′x50′, needed four demo stations and maximum product shelving. 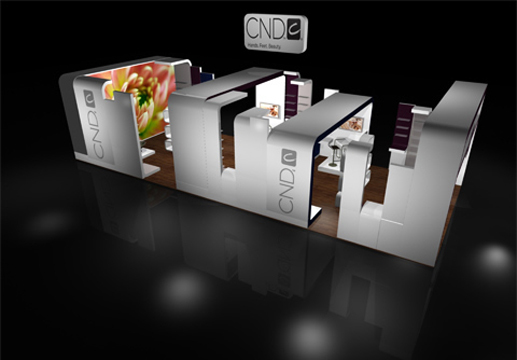 Using elements from CND’s graphic design language and a selection of bold colors from the season’s line I created this fully defined environment that spoke directly to the CND brand while keeping an open feeling in the exhibit.